Our tungsten crimson riverstone inlay wedding band is a beautiful men's wedding ring that is sure to please its owner. Made of high polish tungsten and a crimson riverstone inlay, which due to variations found in the natural stone no two rings will ever look the same. Offered in full and half sizes ranging from size 7 to size 13, the ring is 8mm wide, and is crafted with comfort fit design. 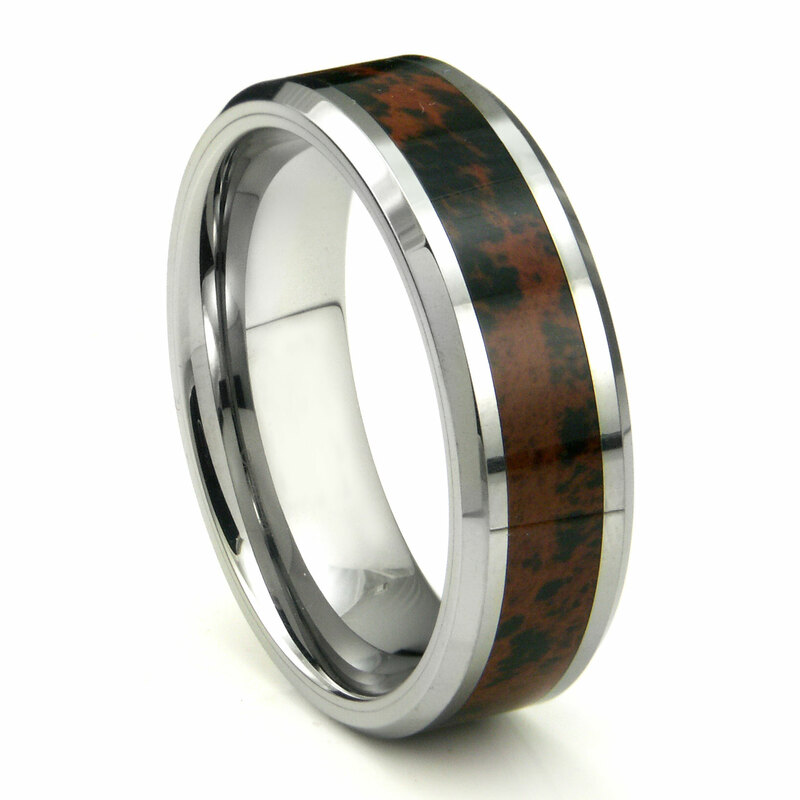 Your new tungsten crimson riverstone inlay wedding band is perfect for men who work and play hard, as the ring is nearly impossible to damage or scratch due to it's composition. With a 100% lifetime warranty you never have to worry if your ordered the men's wedding band from the right website. We take pride in our outstanding customer reviews and will work hard for your review as well. Please shop our assortment of jewelry.